Exactly twenty-four hours previously, I was at Old Trafford watching a Champions League game in front of 75,000 fans. The visit to the small Shropshire market town of Wem would have meant every single resident attending fifteen matches just to match that figure. That suits me though, especially when it took two hours just to clear the vicinity of the stadium and get on some open road. Leaving Wem, I was home in far less than that and I live near Wolverhampton. Although I was at the Butler Sports Centre covering the Tom Farmer Shropshire County Cup game between Ellesmere Ladies and The New Saints Ladies, as opposed to being just a supporter watching the West Midlands Regional League (WMRL) side, nevertheless it was a new ground and one to add to the list. I was impressed with the facilities and the set-up and with a fair experience of WMRL grounds, I’d say that Wem Town FC is definitely up there with the best. As you’ve gathered from the heading, it was exceptionally windy. 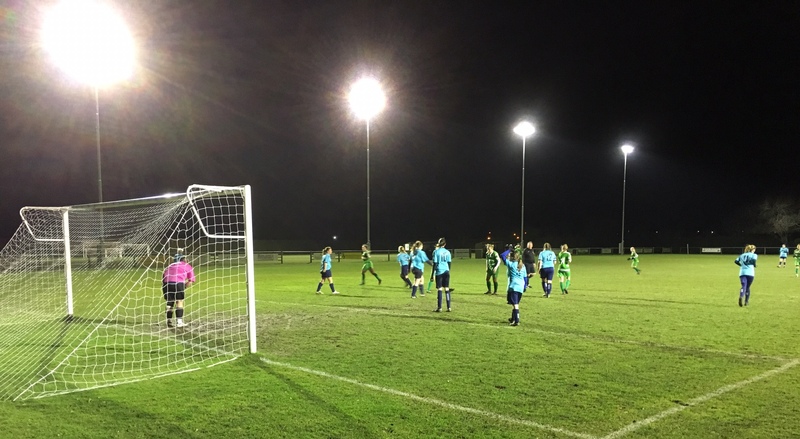 The game itself ended 9-0 to TNS Ladies and while the result turned out to be comfortable in the end, it was just 1-0 until the 43rd minute. A special shout-out to the Ellesmere goalkeeper though, she didn’t let her head drop, she kept going snd pulled off some really good saves throughout the game. Check out my GroundHopping page here. To go to the home page of the website click here.